Neste’s overall value as the preferred base oil’s supplier to its customers is determined by the company’s ability to deliver high-quality base oils always on the dot, every time. By keeping its promises regarding base oil quality, volume, and delivery times, Neste enables its customers – namely lubricant blenders around the world – to keep their promises to their own customers, including OEM’s, for example. With global operations and a large customer base, maintaining such a constant high level in supply accuracy is not a simple task, or one that Neste could achieve on its own. Thus, strong relationships with trustworthy, high-quality transportation partners is the key to helping Neste fulfil its many logistically complex obligations to its customers. “More than 20 years ago,” begins Johan Bloemen, Purchasing and Logistics Officer at Neste Belgium, “we were a small company dealing with 20,000 tons annually from a small base oil plant here in Beringen, so it was an easy job. In time, the base oils business and the number of customers have grown, and we have had to figure out how we would like to arrange our customer service. Today, Neste deals with nearly 700,000 tons of base oil products annually. 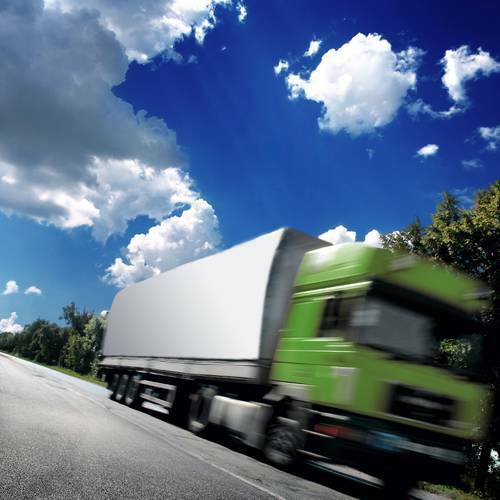 There are 10 to 12 companies handling the deliveries to a wide list of destinations all over the world. In addition to having a detailed list of specifications for transportation partners, Neste has an annual tendering process to select new transport companies, a strong ERP (Enterprise Resource Planning) system with an automatized communication system with logistical partners, and it closely monitors, on a monthly basis, numerous logistics-related KPI’s (Key Performance Indicators). All these combined form an overall Customer Delivery Performance indicator, which is a total score for all the base oils transporting partners and consisting of all individual performances. From the perspective of a transportation partner, modern demands to fulfill contractual obligations to secure supply are many and varied. “My company started working for Neste in 1998,” states Patrick Mervielde, Managing Director of Transport Mervielde. “Last year there was a tender process during which we had to convince Neste again that we were able to fulfil their expectations regarding the availability of equipment and just in-time deliveries, for example. As a result, we signed a new contract and have another two years of cooperation ahead of us. At the end of this current contract, we will have had a 20-year business relationship with Neste. Long business relationships are important to us since the economic situation these last few years has been challenging, and the transporting business is a tough market with small margins. “We are becoming an exception among our colleagues who nearly all have a company or an office in Eastern Europe where they can work with cheaper drivers,” continues Mervielde, explaining further that the transport company’s drivers are Belgian, receiving pay according to Belgian laws. “Our Belgian drivers are also used to speaking two languages, French and Dutch, which is also an advantage within the European-wide market. We are also known as a company who respects the agreements and the requirements of the customers. We are not always the cheapest but we can say we are always reliable. When a customer confirms to us a transport order, we make sure that we are always there, right on-time. Amongst our customers, Neste is an easy partner, because they are very clear in the way they send us their orders; their way of communicating is very organized and direct, and there is always the same pattern in terms of how they communicate their transportation needs. When there are delivery date changes, for example, there is really correct communication about that to all the people involved. Neste’s own metrics show that the company has consistently maintained a very high level in supply accuracy. In 2015, the value for customer delivery performance of Neste’s EU truck deliveries was 98.8% (the average of EHS, quantity, quality and on time performance scores). Maintaining such a high level in delivery performance requires continuous effort, as well as ability to react to changing environment, stricter requirements set by legislation and specific needs of customers. Although securing supply requires juggling multiple issues simultaneously, keeping customer promises is, in fact, a rather straightforward process. First, Neste carefully listens to its customers’ wants and needs, then it delivers the ordered high-quality product on time and offers support and consultation whenever needed. Selecting transportation partners based on quality, rather than price alone, and having strict requirements for safety and environmental targets in place, help Neste to do exactly that.